Post your comments or questions. If you have an account and you log in to this Destin cruises site, we will set a temporary cookie to determine if your browser accepts cookies. This cookie contains no personal data and is discarded when you close your browser. 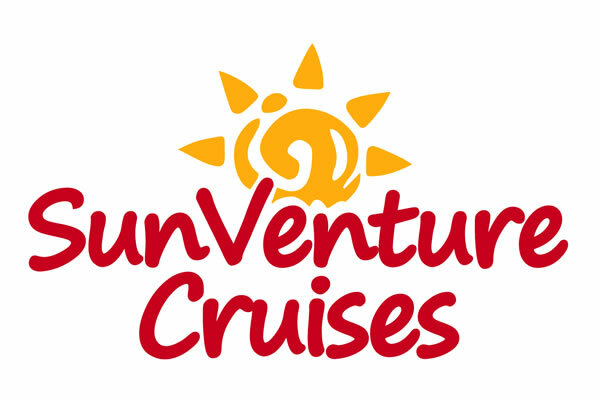 SunVenture Cruises is a full-service leisure cruise company in Destin Fl. We offer Crab Island Cruises, Sunset Dolphin Destin Cruises, Private Cruises and Sunset, Dolphin & Destin Harbor Fireworks Cruises. We have two catamarans, one at the Destin Harbor and one at Okaloosa Island. If you leave a comment on our site, you may opt-in to saving your name, email address and website in cookies. These are for your convenience so that you do not have to fill in your details again when you leave another comment. These cookies will last for one year.If you have an account and you log in to this Destin cruises site, we will set a temporary cookie to determine if your browser accepts cookies. This cookie contains no personal data and is discarded when you close your browser.When you log in, we will also set up several cookies to save your login information and your screen display choices. Login cookies last for two days, and screen options cookies last for a year. If you select “Remember Me”, your login will persist for two weeks. If you log out of your account, the login cookies will be removed.If you edit or publish an article, an additional cookie will be saved in your browser. This cookie includes no personal data and simply indicates the post ID of the article you just edited. It expires after 1 day. “Better than renting a boat. At these prices, this is your best way to enjoy Crab Island. They offer a morning and an afternoon trip, both which give you about 2 hours at Crab Island. That’s plenty of time to enjoy it. Seriously – there are people swimming everywhere alongside and in-between the boats. Save yourself the liability and let these professionals deal with the risk.